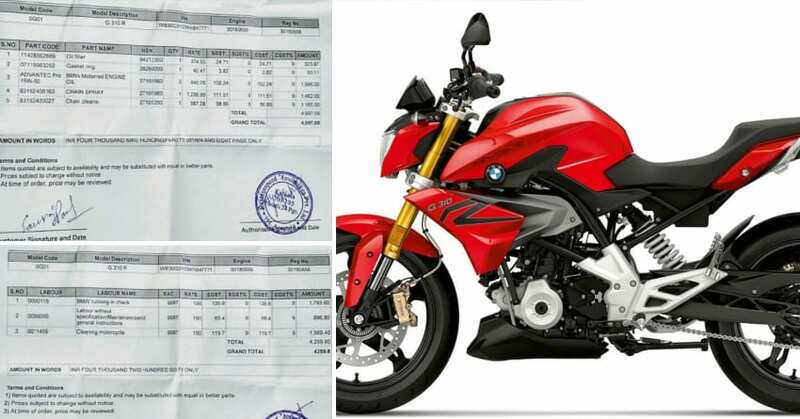 BMW G310R is back in news, this time shocking every motorcycle fan with a report regarding the first service bill shared by an owner. The amount of INR 9257 is truly not a figure that every 300cc segment owner expects when making a purchase. The motorcycle is priced at INR 2.99 lakh, clearly showing how the brand started this sales process with INR 1 lakh of clean jump over the practical tag. 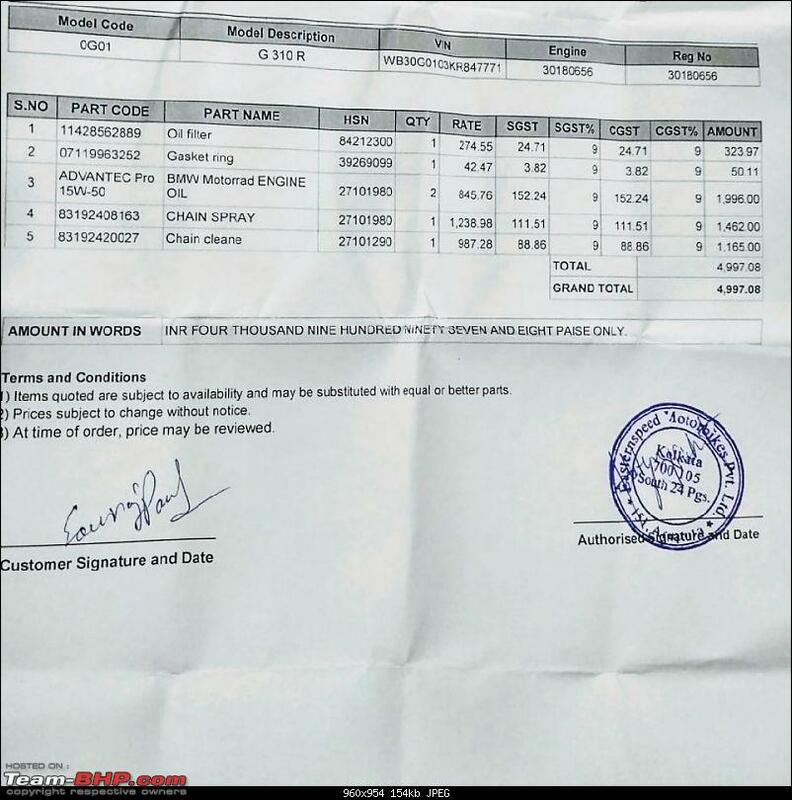 After pricing it higher, the recent service bill is another shocker for aspiring motorcycle buyers of India. Here is a detailed bill breakup that may help you understand the situation clearly. The bill is divided into two sections, first the part change listing and second being the labor charged during the first service. 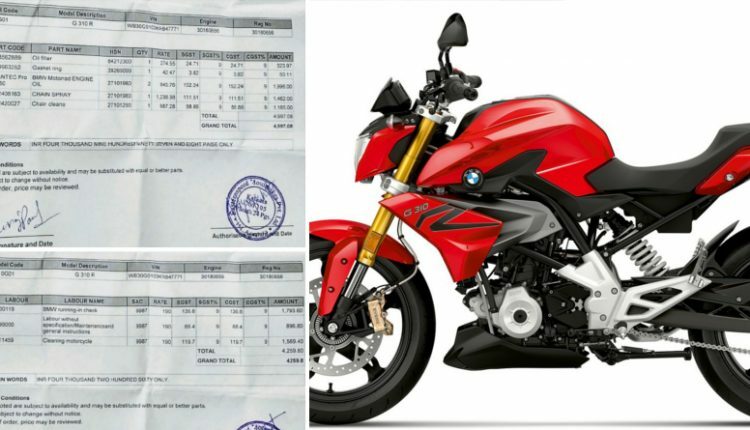 Above all, this clears that BMW G310R came with no free service like all motorcycles of this segment. The oil filter for G310R costs INR 324 while gasket ring was worth INR 50. BMW Motorrad Engine oil with 15w50 viscosity costs INR 1996. All prices mentioned here are including the 18% applicable GST. The shocker comes when one considers Chain Spray and Chain Cleaner worth INR 2627. The labor charge includes INR 1794 for the running-in check and INR 897 worth of regular service labor cost. 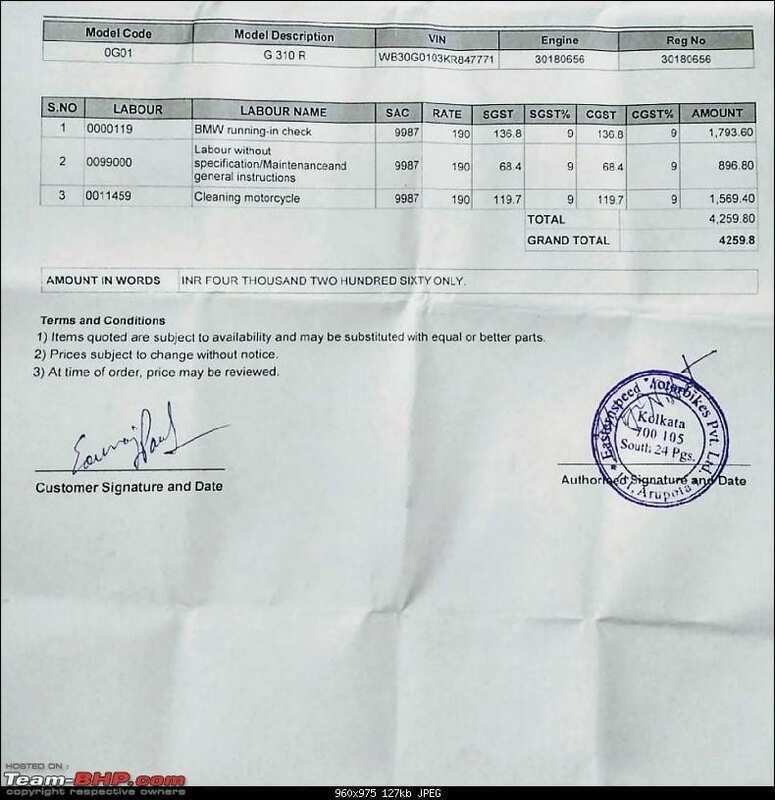 Still again, BMW has charged INR 1569 by listing cleaning motorcycle as the reason. When equating everything, one thing that becomes clear is that almost INR 4000 goes into chain and body cleaning of the motorcycle. The DIY cost for all this would not have jumped INR 500 with quality products. The first service interval for G310R comes at 2100 kilometers. In comparison to this, KTM 390 Duke is available with a bill of under INR 1500 for the first service. The shocking cost of maintenance will definitely affect the number of customers moving into BMW Motorrad showrooms. 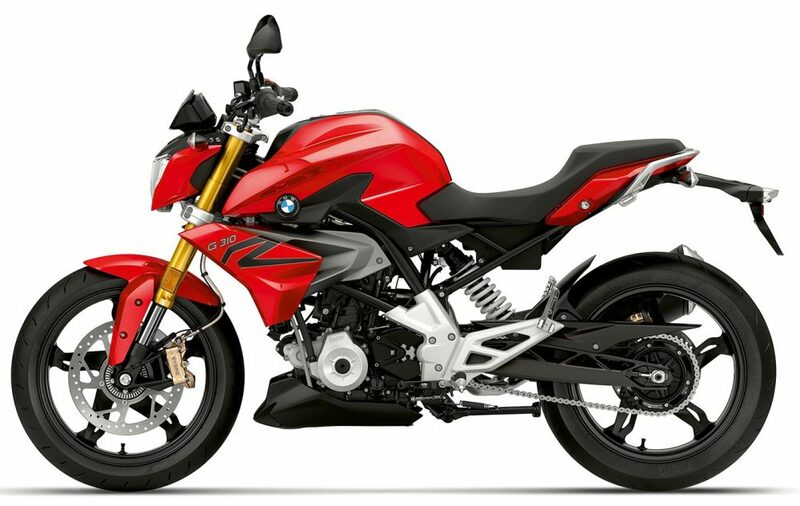 BMW lists G310R on the official website with an EMI option of INR 6999. Click Here to Know More About G310R. Eastern Speed Motorbikes is not an authorized service centre. Why is Maxabout defaming BMW unnecessarily?